By helping regions plan for their economic future, and by giving businesses access to the advanced tools they need to compete in the 21st century, we can make sure that the U.S. economy grows and creates the well-paying jobs that are key to our long-term prosperity. 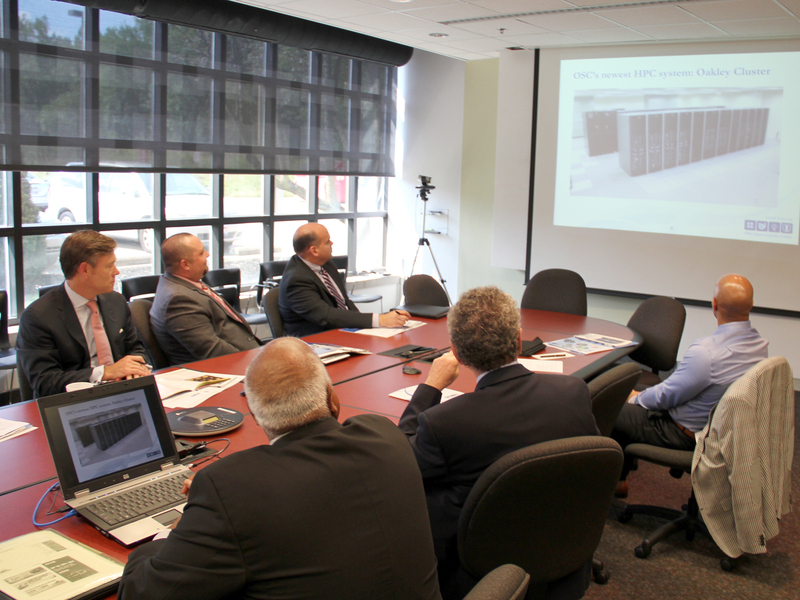 I got a first-hand look at such efforts today in Columbus, Ohio, when I had the opportunity to participate in a roundtable with local economic development leaders and visit the facilities of the Ohio Supercomputer Center. One of the groups I met with was Columbus 2020, a regional public-private partnership that was created to leverage central Ohio’s research and academic institutions and its diverse industries, with the goal of better positioning the area to be the fastest growing economy in the country. It is doing that by working to retain and expand businesses already located in the region, attracting new businesses, leveraging the region’s research assets (such as its colleges and universities) to make it more attractive to entrepreneurs and startup businesses, and improving the region’s civic infrastructure. In 2011, the U.S. Department of Commerce’s Economic Development Administration (EDA) invested in Columbus 2020 to help develop a comprehensive economic development strategy and a cluster analysis of the 11-county greater Columbus region. Today’s gathering at the TechColumbus facilities was an opportunity to hear about that strategy. It included representatives from the city of Columbus and Columbus State Community College as well representatives from Delaware, Franklin, and Morrow counties. I also met with leaders of JobsOhio and participated in a roundtable with Ohio Third Frontier. Both of these organizations are implementing bottom-up, grass-roots programs that are supporting the businesses and industries of tomorrow. I was pleased to hear about all the great things that they are doing throughout Ohio. The Columbus region has been working to provide the advanced tools that businesses need to give them a cutting edge in the marketplace. 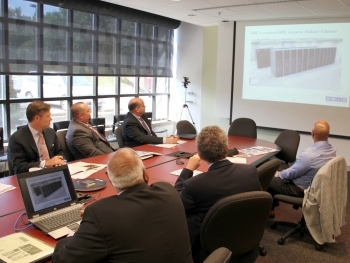 A very important and impressive tool is the Ohio Supercomputer Center (OSC), a statewide resource that provides supercomputing services and computational science expertise to both researchers and industry. The OSC is a member of the National Digital Engineering and Manufacturing Consortium, which is spearheaded by the Council on Competitiveness, a nonpartisan group of CEOs, university presidents, and labor leaders that works to advance economic prosperity. The Consortium develops software, purchases time on supercomputers, and trains small and medium-sized manufacturers in the use of this technology. In doing so, it enables the participating companies to design their own advanced manufacturing processes and products. The use of such supercomputing technology gives these companies a leg up when they are facing stiff competition from technically sophisticated overseas producers. In 2011, EDA awarded $2 million to the Council on Competitiveness to support this effort. The Consortium expects to help up to 30 companies through this program, creating a minimum of 450 new jobs. Last year, President Obama called on Americans to work together to make sure that the 21st century is an American century. “We’ve got to out-educate every other country in the world. We’re going to have to out-innovate every country in the world. We’ve got to make sure that we've got the best infrastructure to move people and goods and services throughout the economy.” In Columbus, Ohio, today, I saw the response to the president’s call, and the good things that are happening to assure Ohio’s future prosperity. Submitted on August 31, 2012 - 8:04am. Wonderful post! You’ve made some really helpful statements and I appreciate the time you’ve taken within your producing. It’s easy to find that you simply have an understanding of what you are discussing about.